The Montagu Museum has reopened the Art Gallery in the KWV Building in Kohler Street's doors on Heritage Day -24th September. 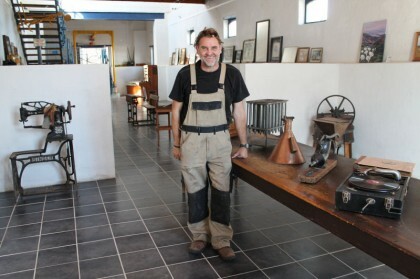 Gallery curator Jannie Uitlander and his team have been hard at work and produced a most interesting exhibition. If you have not had a chance to view the current exhibition at the Museum Gallery, make you way down there! Art (both local & from the Museum Collection) as well as some very interesting artifacts on show. Worth the visit!